Zimbabwean cricketer, Brian Vitori has been suspended from international bowling following discovery that he was acting illegally. Vitori (28) was suspended after a panel of ICC world cup qualifiers sat to look into his bowling action. He had been reported by authorities following The Chevrons' match against Nepal. "As per Article 3.6.2 of the ICC Illegal Bowling Regulations, Vitori's bowling action was filmed in the next match he played after being reported, which was against Afghanistan on Tuesday, and the video footage of his bowling spells were provided to the Event Panel of Helen Bayne and Mark King, who are both members of the ICC Panel of Human Movement Specialists, for analysis and assessment. "Following its review, the Event Panel concluded that Vitori employs an illegal bowling action, and, as such, in accordance with Article 6.5 of the regulations, he has been immediately suspended from bowling in international cricket." ICC added; "Vitori's suspension shall remain in place until such time he submits to an assessment of his bowling action at an ICC approved Testing Center and the assessment concludes that his bowling action is legal." 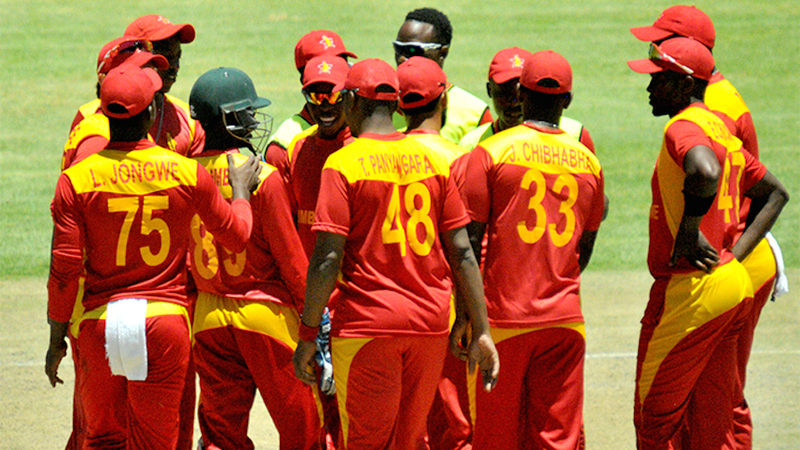 Zimbabwe cricket team, the Chevrons have been allowed to replace Vitori with left-arm fast bowler and a lower-order batsman, Richard Ngarava. Vitori first suspended from bowling in January 2016. He was "permitted to resume bowling in June 2016 following an independent reassessment where his action was found to be legal. He was again reported during the Bulawayo ODI against Sri Lanka on 29 November 2016 and was subsequently suspended for 12 months in December 2016 after an independent assessment revealed he had employed an illegal bowling action. On 8 January 2018, Vitori underwent reassessment of his bowling action at the High Performance Centre in Pretoria and was allowed to resume bowling after his action was found to be legal.